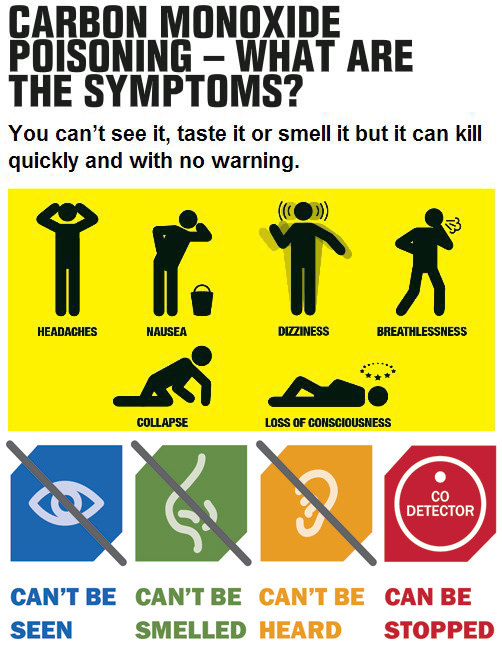 Carbon Monoxide Warnings - You can’t see it, taste it or smell it but it can kill quickly and with no warning. If you have a faulty appliance in your home, it could lead to carbon monoxide poisoning.Get your gas appliances checked to avoid carbon monoxide poisoning. Before purchasing a carbon monoxide alarm, always make sure it is marked to EN 50291. It should also have the British Standards’ Kitemark or another European approval organisation’s mark on it. Follow the alarm manufacturer’s instructions on siting, testing and replacing the alarm.